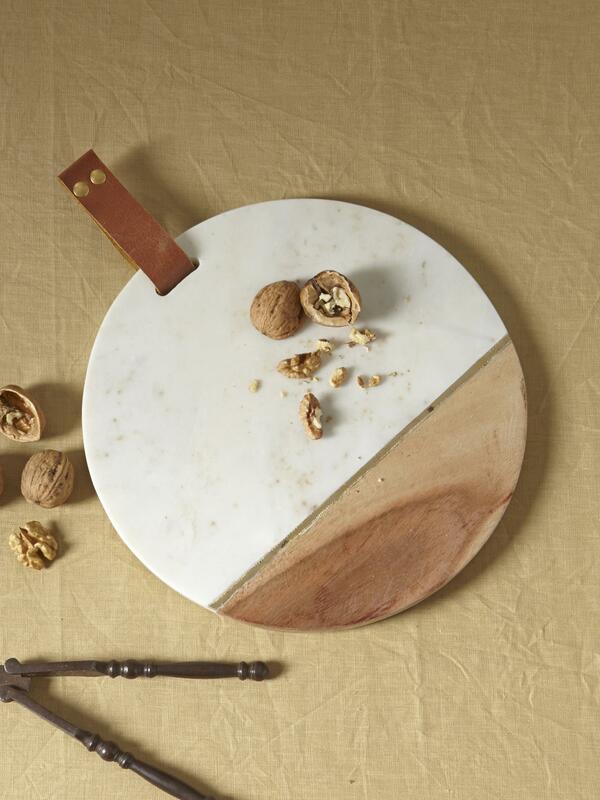 Chic and noble materials for this cutting board. May be used as a cheese board for your dinner parties. Diam. : 26 cm. Leather strap. Golden accents. Not dishwasher-safe.